This large two bedroom two bath gulf front suite offers all the comforts of a vacation home and separate bedrooms with king size beds. The master bedroom has a full bathroom with stand-up shower, large closet, HD TV and DVD player and a spectacular view of the Gulf of Mexico. 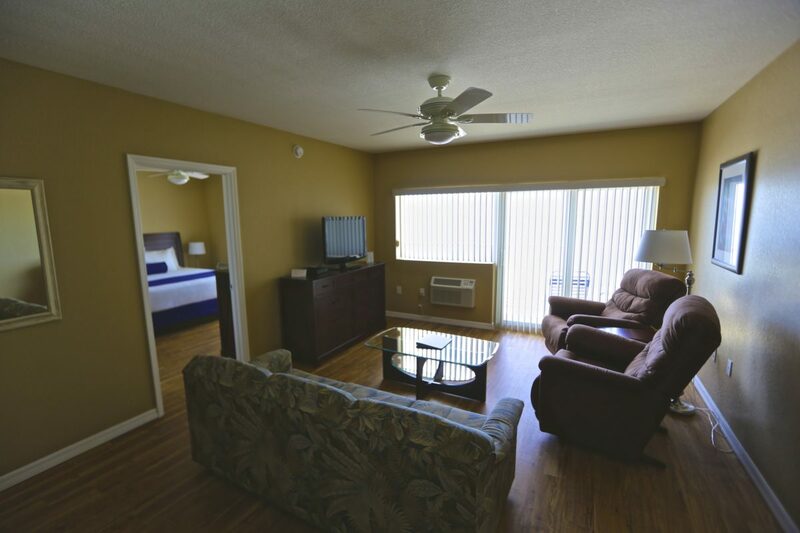 This one bedroom one and a half bath poolside gulf front suite offers all the comforts of a vacation home in a bedroom with a king size bed and a separate living room. The bedroom offers a large closet, half bathroom, HD TV and DVD player.